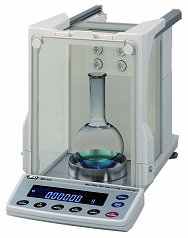 Semi-Micro (0.01 mg) weighing has never been easier as the SM series comprises an impressive list of both single and dual range units. 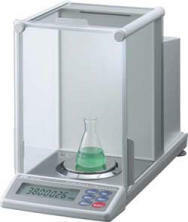 What is even more remarkable is every dual range model possesses Scientech's exclusive Floating Tare feature. 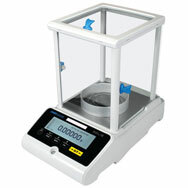 This powerful feature give you two balances in one unit. Used hand-to-hand with autoranging, Floating Tare provides low range readability (0.01 mg) throughout the entire high range capacity of the balance. Access Floating Tare with the press of a button and you have ten times more resolution anywhere within the high range domain. This powerful feature is rarely found in semi-micro balances. In addition, you can now choose a unit with a motorized automatic internal calibration feature utilizing internal weights or choose a unit which uses an external weight for calibration which is the preferred method of calibration by ISO auditors. 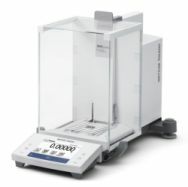 The Ohaus Pioneer PX series of Semi-Micro balances combines essential weighing functionality with competitive performance, offering high accuracy and repeatability for applications in laboratory, industrial and education settings. The Pioneer PX is affordably priced, and intuitively designed for intelligent operation with a second line display for additional information, and USB and RS-232 connectivity for easy communication. 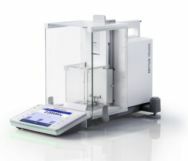 Intelligent Performance for Applications Requiring Extreme Accuracy - The semi-micro Explorer series, which includes models with capacities up to 220 g and resolutions up to 0.01 mg, has been designed to use a High Speed Single Module weighing cell to ensure the accuracy of results. 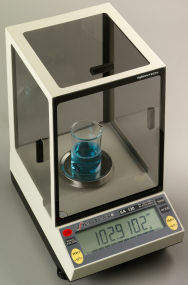 To minimize weighing errors and ensure accurate measurements, AutoCal™ utilizes two internal weights to perform a linear calibration. Intuitive Software Provides an Extremely Modern User Experience - Powered by SmarText™ 2.0 software, Explorer operates in the same manner as common electronics, with an icon-based touchscreen display, advanced applications, memory library, a USB host port, and more. Ingenious Construction Designed to Enhance Usability - Among Explorer's features designed to improve user experience and ensure the integrity of results include touchless sensors, automatic draftshield doors, an ionizer, and more. 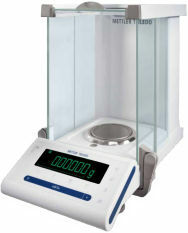 With a high-resolution graphic display and intuitive features, Solis semi-micro balances provide an outstanding solution for a variety of lab applications. 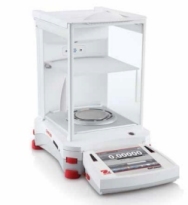 Versatile and resilient, the Solis is ideal for research and quality assurance labs; science education; precision counting; and production and manufacturing applications needing precision results. The Solis keypad is simple to use, with easy-to-read buttons and helpful navigation arrows for uncomplicated operation. 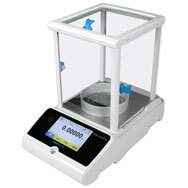 Equinox semi-micro balances bring remarkable precision to labs that perform highly detailed testing. 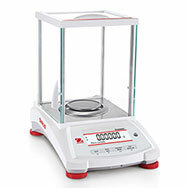 The Equinox is ideal for research and quality assurance facilities; science education; precision counting; and production and manufacturing applications needing exceptionally precise results. A color touch screen display provides intuitive operation, with icon-driven menus and readily accessible applications and functions.